Half a century after the war, Paul met the love of his life, Geraldine. 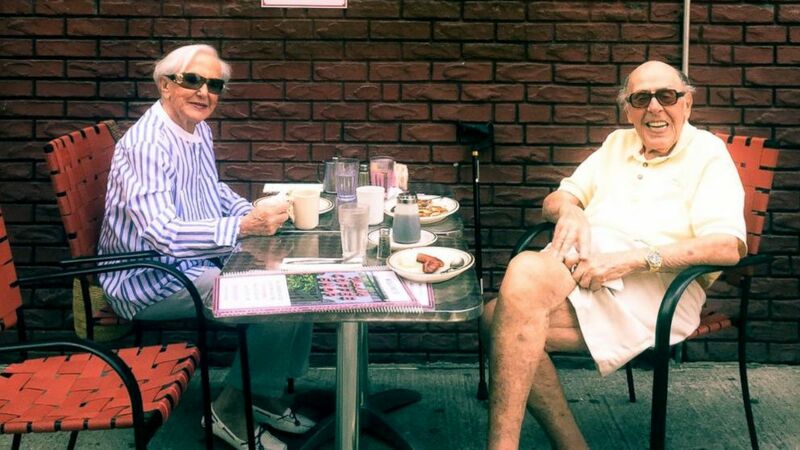 Though they didn't meet until 50 years after the conflict, a World War II veteran and a Holocaust survivor were linked long before they finally got together and fell in love in New York City. Paul Rothman served as a captain in the United States Army overseas from 1942 to 1949, trying to topple Hitler's Nazi regime, and in the process, helping to save millions of persecuted Jewish lives all across Europe. After the war, Rothman came home to New York, where he went into business for himself, taking what he had learned as a natural military leader and applying those life lessons to help him build a thriving fabrics company. Geraldine Rosen was able to escape Germany with her immediate family and came over to America in 1938, the week of Kristallnacht, where thousands of Jews were evicted from their homes, hundreds killed, as their country was being run over by the Nazis. While she was able to escape, along with her siblings and parents, she eventually lost friends and extended family to the Holocaust, which grew and tragically took the lives of millions in the coming years. She, too, would later plant successful roots in New York City, working for a local college then with her brother Eli, all while raising a family. Paul and Gerry hung out in the same circles, worked in the same industry and often lived just blocks apart from each other, but it would take five decades of coincidences and previous relationships before they hit it off and realized they were meant to be together. Paul is also my grandfather and Gerry has become like a grandmother to me. This is their love story in their own words. We were very lucky. Leaving Germany all started with my brother Eli having trouble at his private school. He was being persecuted and begged my parents to help him get out. They often made him get up in front of the class and embarrass him by showing the kids his Jewish nose, his Jewish forehead, etc. At lunch, they put him in a trashcan and put the cover on. Every time they played the German anthem, he had to raise his hand and say "Heil Hitler." My school was a Jewish school, but still every morning, I suffered a similar fate. Boys were always waiting for us, ready to fight. My sister Mia would try and fend them off, but they kept coming back. We also would be at the swimming pool and would hear a whistle, followed by "Jews get out of the pool." But I was happy-go-lucky, just 11 years old, and I didn't quite know the impact or exactly what was happening. 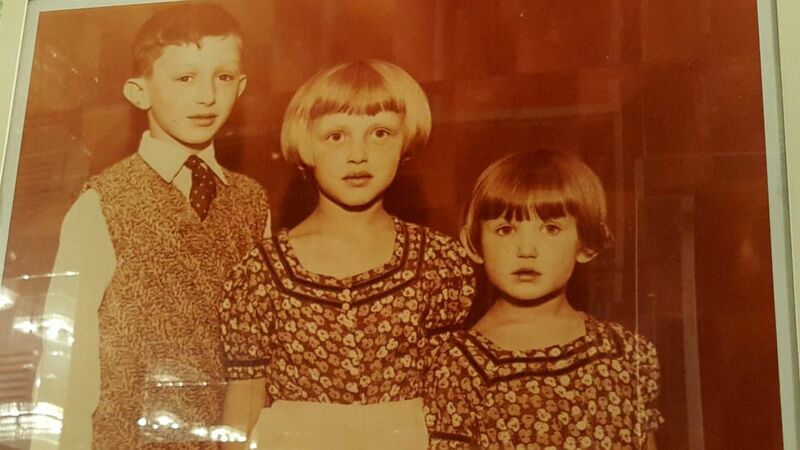 (Micheal Rothman) Geraldine Rosen with her brother Eli and sister Mia as kids in Germany. To make matters worse, my father's business was struggling and I remember they arrested him during one Passover holiday. The guard at this prison took out a pistol and told my mother, "We are gonna use this on your husband tonight." She obviously came home very shaken up. It was time to go. My brother asked our father for any relatives here in the states and eventually sent out a letter, saying we needed help. A relative living on the Lower East Side was luckily going to the dentist that morning. She showed the dentist that letter, who said, "I do this work. I help Jews that want to come over." And that's how it started. A cousin also offered to take care of us until we were able to get settled. Oddly enough, this same cousin had a hat factory in New York City and lived in Paul's old building on 39th Street years ago. Little did I know. Eventually, my father paid a smuggler $2,000, we got our papers stamped at the German embassy, then went home and immediately started packing. On the boat, I got very seasick. I don't remember how many days it was, but we landed in Hoboken, New Jersey. I remember getting off the boat, bending down and kissing the floor. That started my life in America. 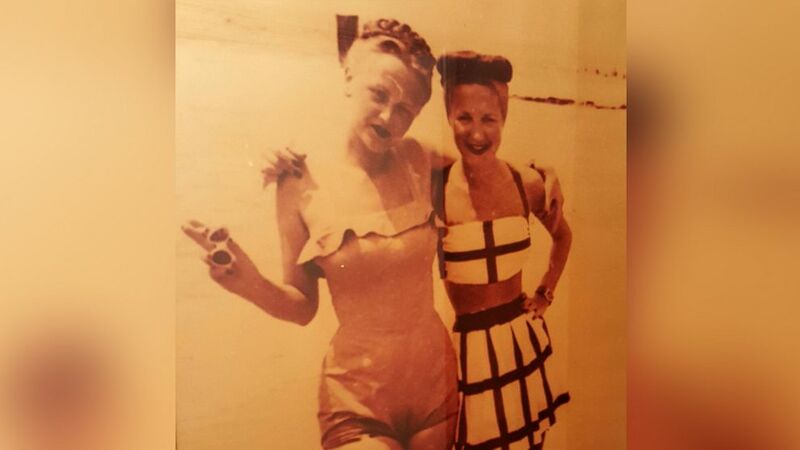 (Micheal Rothman) Geraldine Rosen with her sister Mia. I was in the ROTC when Pearl Harbor was attacked. More than 2,000 soldiers were killed, many more wounded on that historic day. At this point in time, we hadn't entered the war yet. The Army back then was not what it is today, they didn't have substantial forces. So, they called in all the ROTCs. After the attack, I was called in via a Western Union telegram and told to report to Fort Benning, Georgia, for a 90-day education on weapons and guns. I also had officer's training to learn how to handle and treat men under my command. After I was deemed fit to fight, I was put on a troop carrier -- along with 5,000 other enlisted men -- in 1942 for my trip overseas. I went from Bombay, India, to China, where I was tasked with teaching the Chinese weapons and tactics, before we would go into the jungle to fight. We would go weeks at a time on missions, sometimes not showering during that stretch and sleeping in tents on the ground. 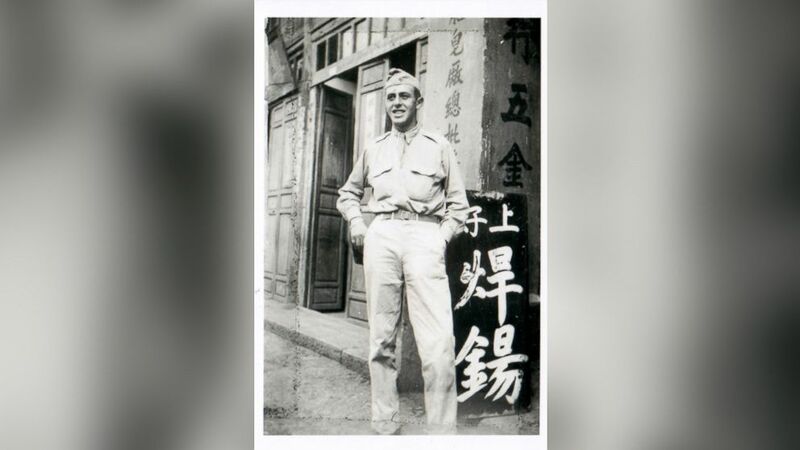 (Micheal Rothman) Paul Rothman poses in his Army uniform Circa 1943 in China. I'm very, very proud of my service before being honorably discharged in the late 1940's, years after we had won the war. As I get older, it's something that I carry with me as a badge of honor. I rose to the rank of captain and ran several exercises for the likes of "Vinegar" Joe Stilwell, a future four-star general, who got his nickname 'cause he was tough as nails. He liked me because if he ordered me to do something, I got it done. But at the age of 93, I do think about the men I had under my command. I think about the men I lost. That concern for men under my care carried over to business. What the war taught me was how to treat people, how to commend them and how to help them. The war made me a man and taught me not only how to help those under my command, but build relationships and treat everyone fairly. I remember seeing bathrooms with signs that read "No Jews and No Dogs." Other signs would read "No Jews," but also read "No Blacks." In a war, you learn to treat people with respect. It's not about money or race. We were all together in the war and later in business. I also didn't see race in the decades to come and hired only based of loyalty and hard work. I think those values helped guide me eventually to my sweetheart Gerry. After the war, Paul built up a huge business in fabrics and so did Gerry's brother Eli, that same boy who begged his parents to move the family to the states in 1938, before it was too late. Paul's reputation led him to befriend and work alongside Eli in the textile industry. The two also became close friends. But during the 60's, 70's and beyond, both Paul and Gerry were married to other people. Paul and Gerry had so many things in common though, and Paul believes the two were fated to meet. He would travel all around the world (Africa, Italy, Russia) for his business, but always felt like something was missing. He now believes that missing piece was Gerry. The funny thing is after she graduated, Gerry went to work at Hunter College on the Upper East Side in New York City for more than 10 years. Her old office now sits just one block from where she and Paul live today and have for several years -- another one of the coincidences Gerry says she "just can't get over." Through their formative years, the two were unhappy in their relationships before meeting the other. It wouldn't be until one fateful day 25 years ago that the two realized they were meant to be together and were connected by the war, their friends, their passions and even their past. After Eli suggested they have dinner, Gerry says this happened. Gerry: I've told this before, but I'll never forget it. During our first date, he reached out, held my hand and said to me, "Do you think you and I could have 10 years together." That was 25 years ago. When I met Paul, I had left a marriage of 25 years, it was very difficult. I never lived alone. It took me a while to get over that. Paul and I just clicked. He had his baggage and I had mine. He had an apartment three block from mine when we first met. He lived in my neighborhood all these years and I hadn't really known it. But once we got together, everything just gelled. It was really the most affectionate relationship I've had. I just thank the lord above that we met each other and I ended up here after everything that happened earlier in life. My younger years were very difficult. He turned me around. We were very active when we first met, we did a lot of traveling. As I look back at that, those are some of my fondest memories. As we get older, those things are more difficult. I'll tell you a story. When we first started dating, Paul asked me to travel to California with him on business. At this point in time, I had never been away with a man, this strange, charming man. We are on the plane and I say to him, "When we get to the hotel, I'll sit in the lobby and you check us in. Then come over to me and whisper the room number to me." I thought the whole world was watching. I had been very sheltered and shy before meeting Paul. We went to sleep, later in the night, somehow he woke up and I woke up and we rolled over and just hugged each other. After that, we got used to each other. Paul: She's the love of my life. What else is there to say? Gerry has always been kind to me, always worried and concerned about me, something I may have not always been used to. Even now, we rely on each other. I also have an entire second family that I love with all my heart. Her daughter Barrie (little Barrie, as I call her) and son-in-law Barry (Big Barry) are the warmest, most welcoming people. They go out of their way to have us to their home every year and have made me feel like I'm part of something. The funny story that Gerry didn't tell was after that first dinner, I didn't immediately follow up to take her out again. I getting out of a marriage, like she was, and it took a fateful meeting shortly after our first dinner to make me realize she was the one. I had a small office downtown in New York, before I fully retired years later, and luckily with her brother in the same industry, my building was one she had to visit. And what do you know, she had to make a visit to my building just weeks after our date. I walked into the main entrance one morning and I see she's standing there at the elevator. She was dealing with a customer in the building, helping out Eli at the time. I said, "What are you doing here?!" She told me and I couldn't help it, I immediately said, "No, come to my office!" She had a friend with her. I got into the elevator, she got into the elevator, the friend left. We got to my floor, got to my office, and I gave her a big smooch and a big hug. That was it and here we are! If she wasn't there, maybe we wouldn't be here. But I'm sure glad she was standing at the elevator. (Susie Cushner) Paul Rothman and Gerry Rosen enjoy lunch in New York City.